The £60 million pound development is due to open in summer 2017. It will be home to 140 assisted living apartments and a 90-bed care home, as well as office space, retail outlets and leisure facilities. 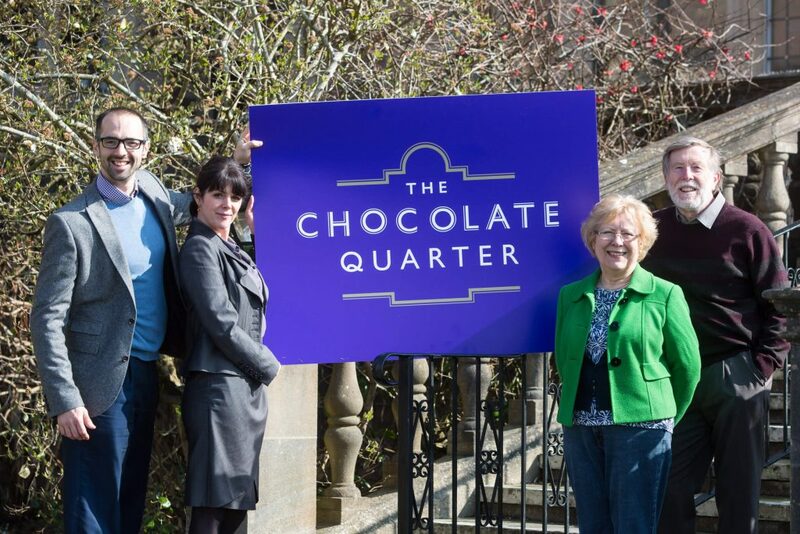 The logo for The Chocolate Quarter was inspired by the styles of the 1920s and incorporates the building’s iconic roof towers. An era synonymous with glitz, grandeur and glamour, the 1920s was also the decade in which the St Monica Trust and J.S. Fry & Son’s Somerdale factory were created. A naming competition for the new retirement community was won by Keynsham resident, Donald Ogg (70). Mr Ogg has lived in Keynsham all his life and worked at the former Somerdale factory for 47 years before retiring in 2007. His winning contribution was chosen from over one hundred entries and earned him a cheque for £250. A St Monica Trust show home and marketing suite is due to open at The Chocolate Quarter in the summer. “They will be able to take a tour of a beautiful fully furnished two-bedroom apartment, which will give potential residents an idea of the exceptional quality of the 136 properties that are available. If you would like an invitation to attend the opening of the St Monica Trust’s marketing suite, please register your interest at http://www.stmonicatrust.org.uk/register-us or call 0117 949 4004.